"A daring and beautiful meditation about selfishness and selflessness, and how to be in the world. A powerful book that will stay with me." "Spiotta has created a new kind of American novel... She writes radiant, concentrated books that, as she has put it, consider 'the way things external to us shape us: money, technology, art, place, history'... Her books are simultaneously vast and local, exploring great American themes (self-invention, historical amnesia) within idiosyncratic worlds (phone phreaks, '80s Los Angeles adolescence). She has been compared with Don DeLillo and Joan Didion, but her tone and mood are distinctly her own: she's fascinated, not alienated." "Slippery, original, and uncanny... a work of acute cultural intelligence and moral imagination." 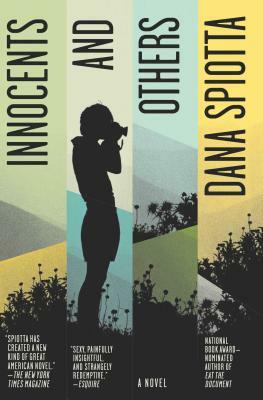 "Dana Spiotta's interested in the feverish intensity of female friendships, the single-minded focus of obsession, the sudden communions that spring up between strangers." "Spiotta is among America's most intriguing novelists." "National Book Award finalist Spiotta brings to new levels of feverish intensity her signature dissection of obsession, the trends and ironies of the zeitgeist, how we document our lives, and the consequences of resistance to social imperatives in this ensnaring, sly, and fiercely intelligent novel, from which readers can extract a cineast's dream watch list... Spiotta's deeply inquiring tale is about looking and listening, freedom and obligation, our dire hunger for illusion, and our profound need for friendship." "A superb, spiky exploration of artistic motivation." "Spiotta does a masterly job of getting under the skin of disparate characters, revealing the kinds of insecurities that plague us all, successful or not."